Sydney is the capital of New South Wales and one of Australia's largest cities. Warwick Farm is located in South West Sydney corridor and accessible via major freeways from the Airport and the Sydney city. 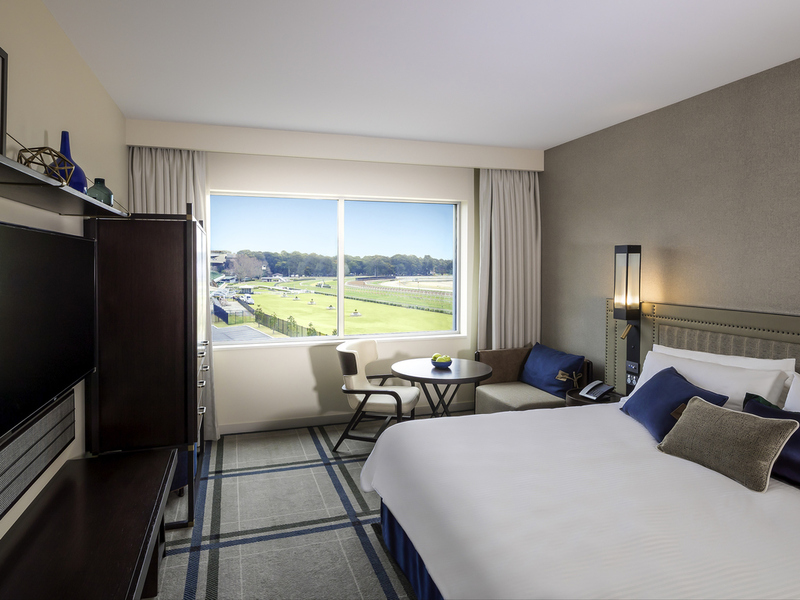 Celebrating racing history and the thoroughbred, The William Inglis MGallery By Sofitel is a boutique 5 star hotel. Located in the Riverside Stable precinct and adjacent to the Warwick Farm racecourse, the project build was $140 mil and opened in 2018. All Superior rooms feature Smart TV, centrally controlled lighting, mini bar, beautifully appointed bathrooms and extensive views from all rooms. The Heroic Café is located on the ground floor. The perfect place to start the day with a great coffee or one of our signature Bacon and Egg Rolls. The Newmarket Room is open for Breakfast, Lunch and Dinner. It can host 100 guests indoors, witha further 100 seats in the beautiful garden area adjacent to the Inglis Arena and Wedding Pavilion. 1867 Lounge is a celebration of the year Inglis commenced operations. Located on Level 1, it offers an intimate setting for 40 guests. Relax around the fireplace with a Scotch from our extensive Whiskey menu. Private function rooms are available. The Chiltern Rooftop bar offers panoramic views of the racecourse and South West Sydney. Available for private cocktail functions of up to 100 guests.